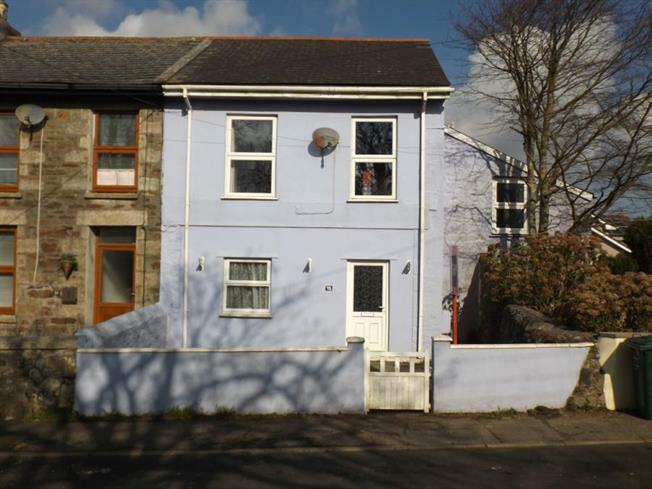 3 Bedroom End of Terrace Cottage For Sale in Redruth for £160,000. Located in a popular area in Redruth is this very spacious house requiring extensive refurbishment. The accommodation is laid out over three floors and comprises versatile accommodation, enclosed garden and a garage. The property benefits from double glazing and heating. Double glazed front door. Dado rail. Radiator. Door into Entrance hall. Stairs to the first floor. Doors to reception room, kitchen, shower room and side utility room. Double glazed window. Feature fireplace. Radiator. Double glazed window. Radiator. Feature fireplace. Close couple w.c. shower cubicle, wash hand basin. Inset spot lights. Tiled flooring. Two double glazed windows to the side and one to the rear. Double glazed door leading to the rear garden. Wall and base units with work surfaces incorporating a one and a half bowl sink unit and drainer. Fitted oven and hob. Obscured window to the front. Fitted work tops. Door to storage room. Two double glazed windows to the front. Radiator. Enclosed rear garden. Access to the garage.